Jump up! Through 60 levels in 4 distinct worlds using different Mugogy Monsters. Destroy! 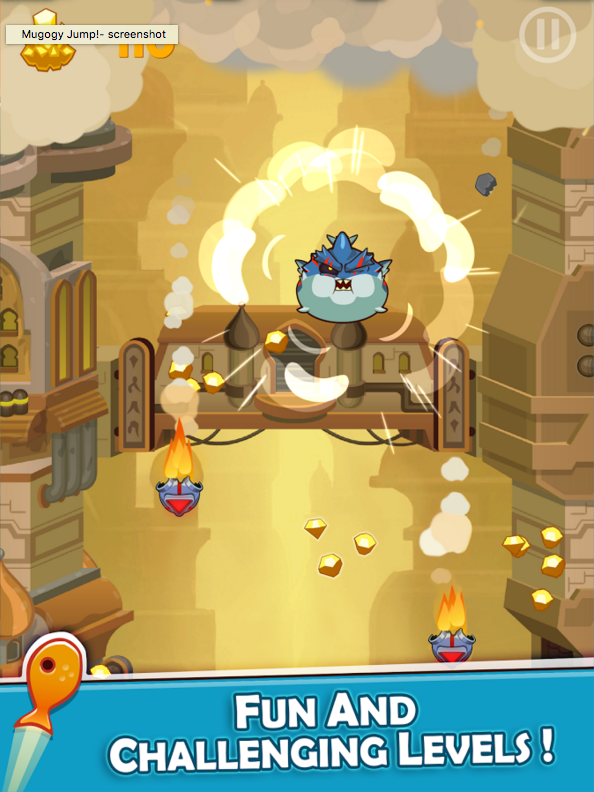 Enemies and orbs with 8 unique and crazy power-ups. Collect your Reward! 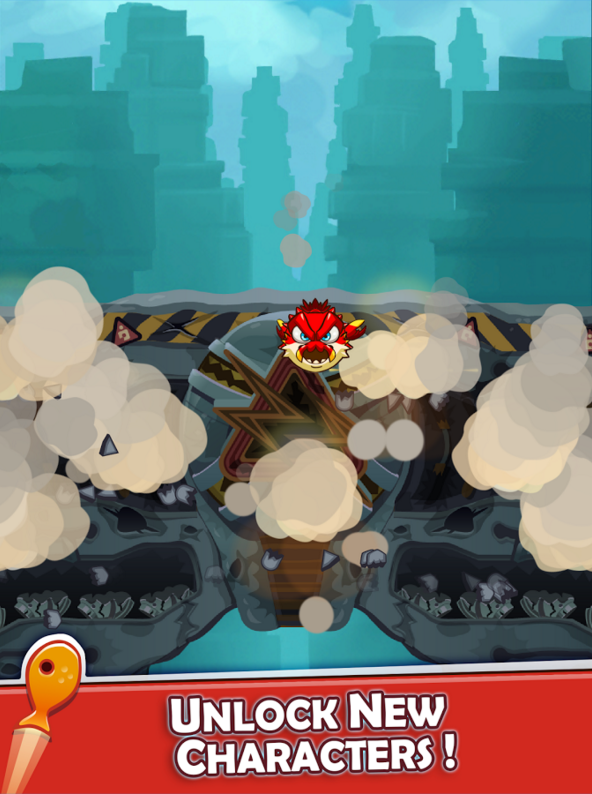 Gather as many coins as possible among the wreck you made. 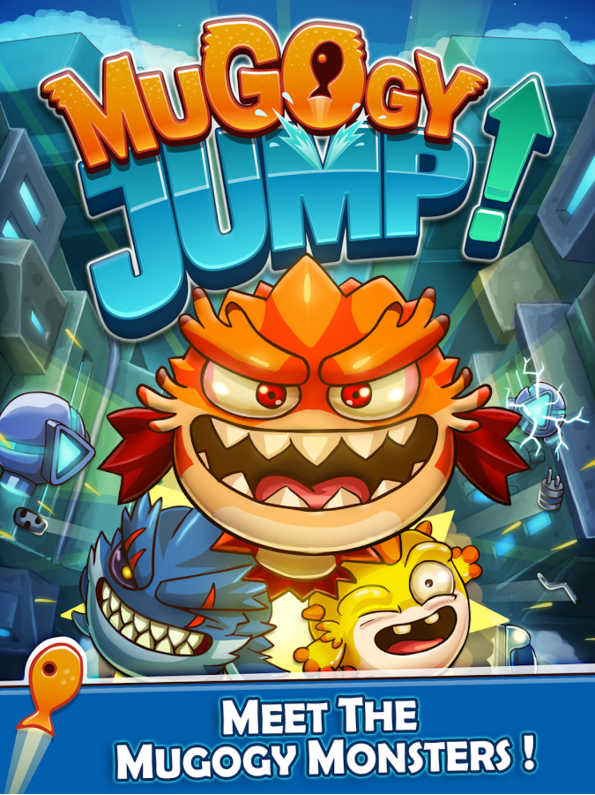 Muggy Jump is the first release of 1SI Games. 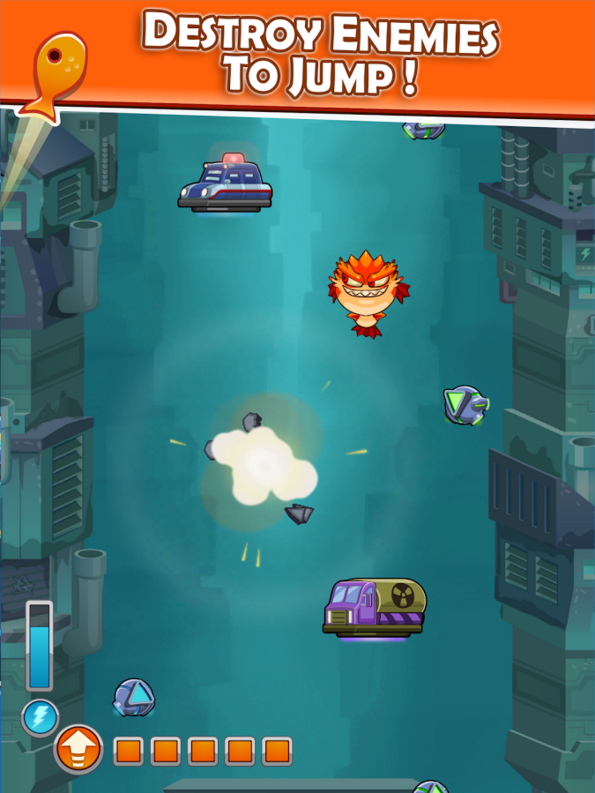 In order to diversify its services and boost the commercial development services of the company, in 2013, 1 Simple Idea decided to invest in a cell specialised in the development of games based on original intellectual property. 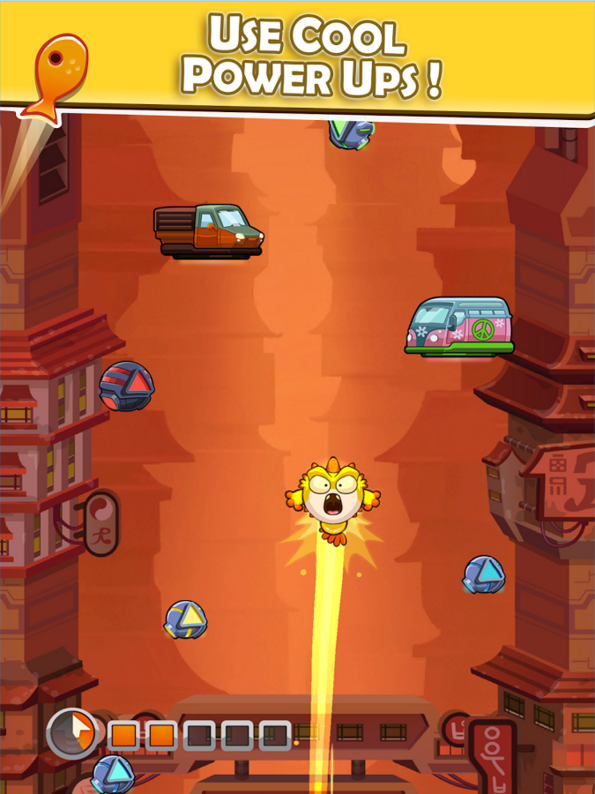 Mugogy Jump is the first mobile gaming product of this initiative. Simple touch and tilt gameplay! Varied selection of characters to choose from! Tons of enemies to destroy! Quick and easy to learn! There are currently no trailers available for Mugogy Jump. Check back later for more or contact us for specific requests! 1 Simple Game was built under the premise to entertain the world, developing incredible and enjoyable experiences for our players no matter if it rains, snows or after a zombie invasion. Working with an amazing team of highly determined and talented individuals, and building a sustainable business from which our community can benefit from… all while having a lot of fun doing it. Video games offer us the opportunity to combine art, technology, programming, storytelling, marketing, and sound in unique ways that can entertain and inspire our players. Through our collaborative effort, we strive to build a healthy ecosystem that will allow people that share the same ideals to work making the best experiences for a worldwide audience for many years, which also serve as a reference of how Mexico and LATAM can compete on a global scale. More information on 1 Simple Game, our logo & relevant media are available here.